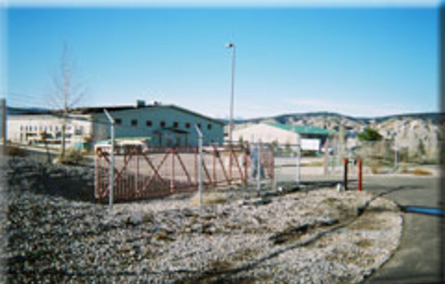 Our Gypsum, Colorado facility is conveniently located near the Eagle County Regional Airport, just a few blocks south of Grand Army of the Republic Highway (Highway 6) and I-70. Whether you live in Eagle, Glenwood Springs, or Edwards, just hop on the highway and come see us! Our professional and friendly on-site managers are here to help you decide what storage unit will work best for you and your personal situation. We are confident we can find the solution to your storage needs with our variety of unit sizes and amenities. When you rent from us, you’ll be able to access your unit 7 days a week between 5 a.m. and 9 p.m. with your personal gate code. You’ll be storing your belongings in a completely fenced facility, so you won’t have to worry about their safety. The managers here are always available to answer your questions and are very knowledgeable in the self storage field. We want to make storage easy for you, so we offer online bill payment options that allow you to keep up with your payments from the comfort of your own home! Call us or stop by our facility today to talk to one of our managers about any questions or concerns you have. 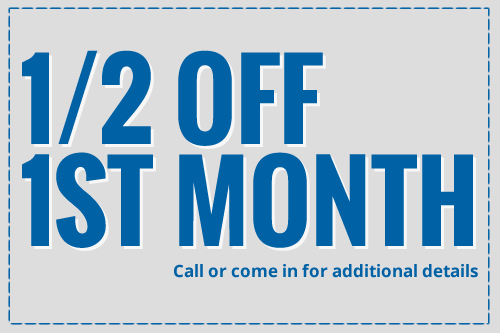 Don’t forget to ask about our current specials!